Here it is, the second part to our Christmas Gift Guide for newborns! Geometric prints are right on trend so we’re positive this sublime organic cotton Geo range will be well received this Christmas. With separates available in pink, jade, orange and aqua with white colour combinations, you can match your baby’s outfit and accessories just so. Or spoil baby this Christmas with a Geo Deluxe Boxed Gift Set, priced $90, that includes a matching hat, bib, onesie and wrap, all beautifully packaged of course! Geo Deluxe Boxed Gift Sets are available in aqua, teal and pink from Master and Miss. What’s Christmas without a darling new little friend? And The Little Dog Laughed has a treasure trove of cute critters but we especially love these knitted beauties. 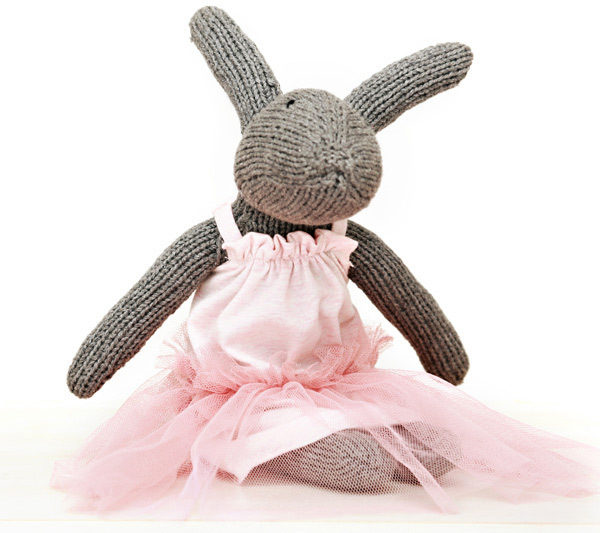 Matilda and Rupert Rabbit are destined to become firm friends with their new owner from the very moment they’re gifted. Priced $45 from And The Little Dog Laughed. A baby is never too young to be given an educational toy, for it won’t be long before a sweet newborn cherub starts grasping at objects. 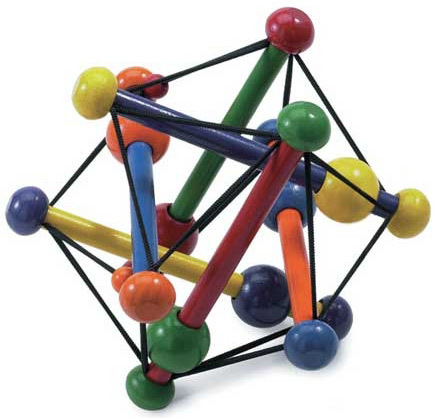 The Skwish Classic by Manhattan Toy is a timeless wooden baby toy for infants one month and older, with its constant moving parts, it’s sure to be a much loved addition in the toy box. Skwish Classic is priced $29.90 from Classic Baby. A baby’s first Christmas is indeed a special one and a perfect excuse (if you need one) for a keepsake gift. 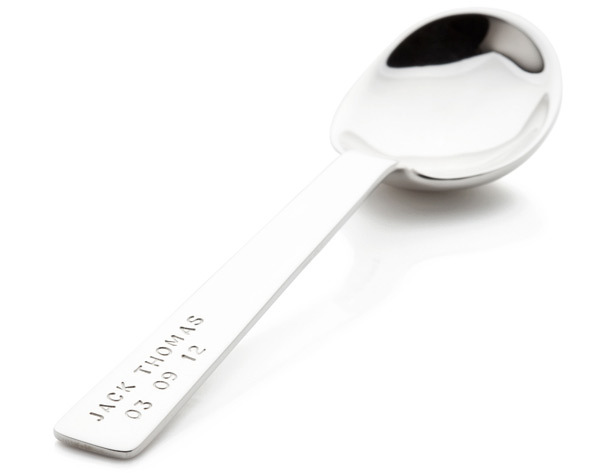 We adore the George Silver Spoon which can be personalised with a hand stamped message – up to fifty characters – of your choosing. A beautiful gift to cherish by its recipient long after small hands have grown big! The George Silver Spoon is priced $135 from Koolaman Designs. 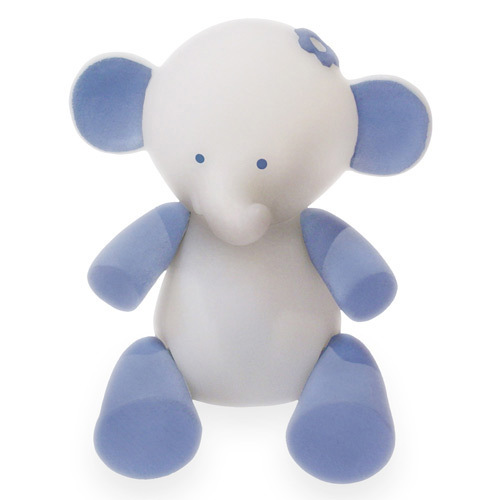 A rechargeable night light, a Giimmo Night Light gives off just the right amount of coloured light to comfort the newest of babes and of course make it easier for parents to creep safely through the nursery in the wee hours. Nine designs are available including the charming Blue The Elephant, Rosie The Cat and Indigo The Hedgehog, complete with moveable limbs and easy on/off action. You can get your Giimmo Night Light from Treehouse, priced $49.95. Keepsake jewellery is always a popular gift to give and Uberkate’s Combination Ubercircles (priced $565) will never go out of style! 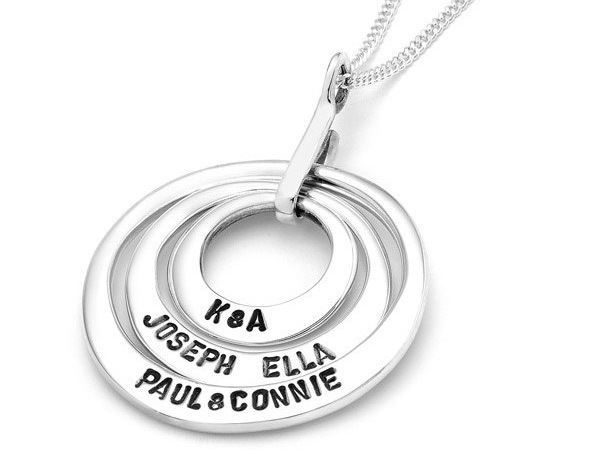 The Ubercircle symbolises the endless love between the wearer and those names stamped on the precious Ubercircles. The Combination Ubercircles set is available from Uberkate. If you love a Marimekko print, prepare to rejoice in the fact that your baby can wear one! It is indeed true and we think the Metku Onesies make a delightful, and fashion forward summer staple to any newborn wardrobe. Featuring a menagerie of brightly coloured animals – on wheels no less – it’s a onesie that’s sure to be as visually stimulating as it is comfy for the smallest of wearers! Priced $57, the Metku Onesies come in a pack of two from Marimekko. Give the gift of free hands this Christmas with a gorgeous Baby K’tan Baby Carrier. The innovative cotton carrier allows the wearer to hold onto older children’s hands or go about their other business while carrying baby securely in one of several ways – a win/win situation for both parent and bub! Available in three colours, the Baby K’tan Baby Carrier is priced $89.95 from Mini Monarch. Getting out and about is a lot more comfortable when shielded from the blaring heat of the sun and the perfect way to do that is with the Baby Brolly Pram Parasol. This nifty parasol not only attaches to a pram, it can be attached to a baby capsule or even a trike. 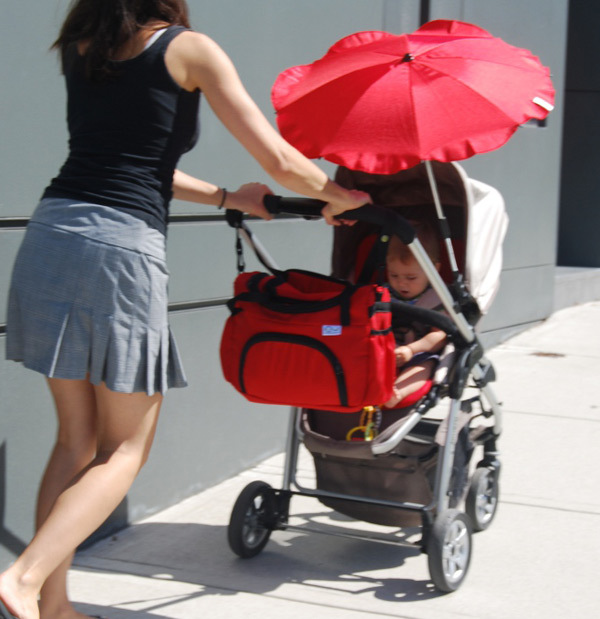 The Baby Brolly Pram Parasol is available in several colours and is priced $45 from Gooseberry Australia. A practical gift is always a good gift and Wean Meister have practicality and style in the bag. Or bowl, as it so happens. AdoraBOWLS are an excellent all-rounder in the kitchen, silicone bowls that can go from the oven to the fridge, to the freezer, to the microwave and then finally to the table! Suction lids keep contents fresh and clean up is as easy as loading them in the dishwasher. AdoraBOWLS are available in a two-pack for $20 or a six-pack for $50 from Wean Meister. Blissful sleep awaits your baby with thanks to the all new Ergobaby Swaddler. Sold in packs of two so you’ll always have a clean one, the Ergobaby Swaddler is the only swaddle to have a Healthy Hip Positioner allowing babies to keep their ‘frog position’ legs while sleeping. Made from a pure cotton terry knit with a 0.6 tog rating, the Ergobaby Swaddler is perfect for sleeping all year round. 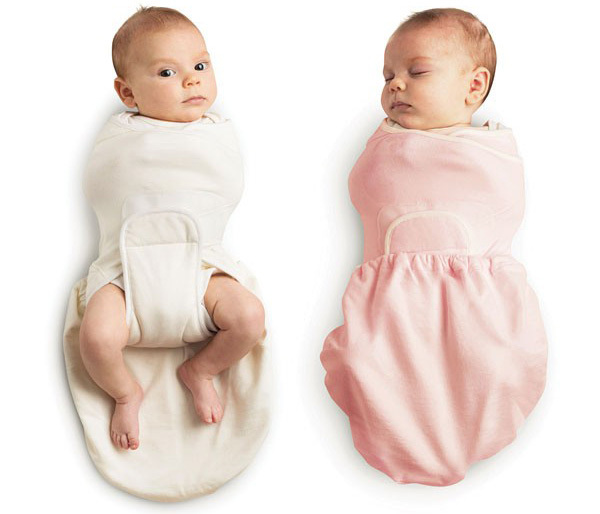 Available in pink, natural and blue, the Ergobaby Swaddler is priced $69 per twin pack from Babes In Arms. Stay tuned for more Babyology Christmas Gift Guides over the next few days!